The origins of the orchestra’s rich tradition lie in the history of the Secondary Music School. In the 1950’s the orchestra was led by Feliks Rybicki, eminent conductor and composer. The school’s chronicles contain a wealth of information about the orchestra’s numerous successes, led in subsequent years by excellent teacher-conductors. In the 1970’s the orchestra and soloists performed in France and in Great Britain, performing, among others, P. Dukas’ “The Sorcerer’s Apprentice”, under the direction of Ewa Marchwicka. In 1989-1996 the school engaged in a partnership with the Helmholz Gymnasium in Karlsruhe (Germany). During that time, the orchestra, led by Polish and German conductors accompanied some renowned soloists, performing, among others, Beethoven’s 1st Symphony, Mussorgsky’s “A Night on Bare Mountain”, Schubert’s Mass in G major and 7th Symphony, Mozart’s “Ave Verum” and finally, several times, Haydn’s oratorio “The Creation”, with the participation of a 140-person choir from Germany. The concerts took place in many cities in Poland, as well as in Karlsruhe, Heidelberg, Konstanz and Stuttgart in Germany. In those years, the orchestra was conducted by Krzysztof Lewandowski, Andrzej Borzym, Andrzej Affeltowicz and Marcin Nałęcz-Niesiołowski. In 1998 the conductor’s baton was taken up by Ruben Silva, who led the orchestra until 2005. In that time, the ensemble performed works such as Beethoven’s “Egmont” overture Borodin’s Polovtsian Dances from the opera “Prince Igor”, Mussorgsky’s “A Night on Bald Mountain”, Bizet’s 2nd orchestral suite from “Arlesienne” and overtures and symphonies by the Viennese classics. Ruben Silva has also worked together with conductors of the younger generation: Łukasz Borowicz, Grzegorz Kos, Ewa Strusińska and Maja Metelska. He has also conducted some of the school concerts. In the following years the orchestra was led by, among others, Tadeusz Wojciechowski and Andrzej Straszyński. In 2009 Maciej Niesiołowski became the conductor of the school symphony orchestra, leading many concerts, including “Masquerade”, an orchestral suite by Mussorgsky, Bernstein’s suite from “West Side Story”, Bizet’s suite from the opera “Carmen”, Bock’s suite from “The Fiddler on the Roof” and music for the ballet “Swan Lake”. Charity concerts for the Polish Multiple Sclerosis Association (recently known under the name “Symphony of the Heart”) occupy a special position in school’s tradition. It is during these concerts that the orchestra plays a major role, performing symphonic works and accompanying soloists selected from competition auditions of graduating students and competition winners. In December 2012 the orchestra will play its 20th anniversary charity concert for the Polish Multiple Sclerosis Association. 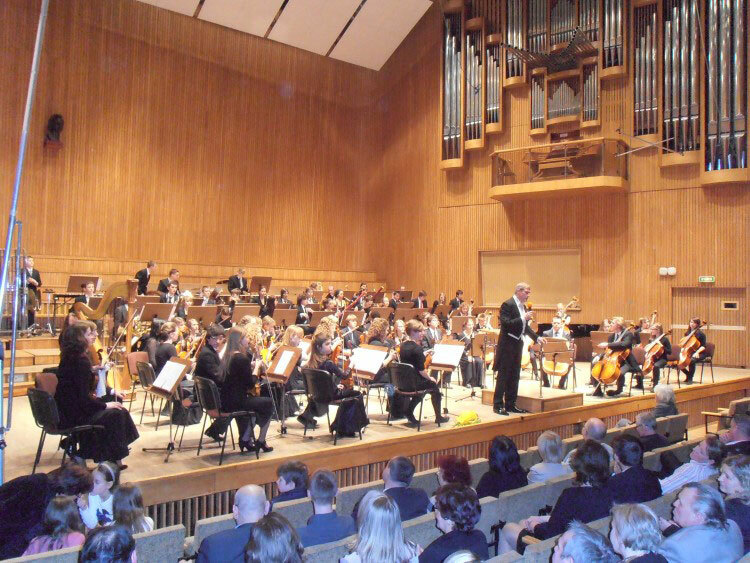 School symphonic concerts take place on renowned concert stages: at the National Philharmonic, in the Witold Lutosławski Concert Studio of Polish Radio and in the Concert Hall of the Fryderyk Chopin University of Music. The symphony orchestra also plays a prime role in the education of young artists, preparing them for the musician’s profession, teaching mutual responsibility for the performed work and instilling the joy of making music in a large ensemble under the guidance of renowned artists – conductors. Cellist, conductor and comprehensively educated musician. Maciej Niesiołowski studied at the State Higher School of Music in Warsaw in the cello class of Professor A. Rezler and in the conducting class of Professor Bogusław Madey and Bohdan Wodiczko. He also completed a post-graduate course in the Foreign Trade Department at the Main School of Planning and Statistics (currently the Warsaw School of Economics). As cellist, Niesiołowski played in the National Philharmonic Orchestra, in the National Philharmonic Chamber Ensemble led by Karol Teutsch, in the Wilanowski String Quartet and in the “Con moto ma cantabile” ensemble. 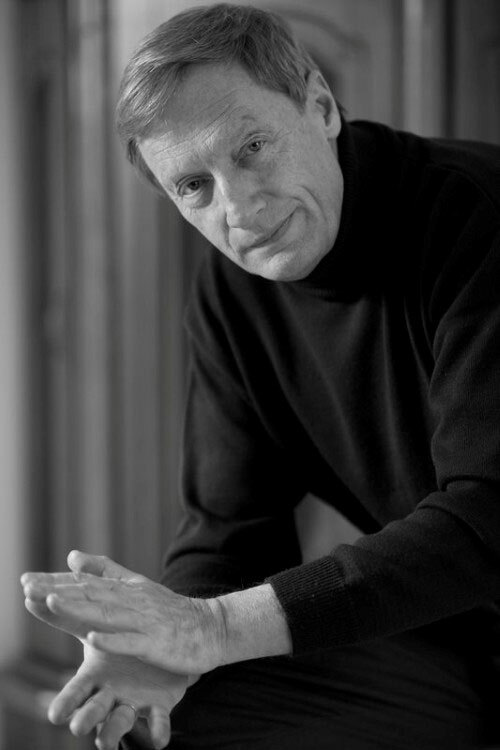 As a conductor he has worked in the Warsaw Chamber Opera, in the Grand Theatre, in the Fryderyk Chopin Academy of Music and in the Music Theatre in Łódź. He has led a cycle of regular TV shows intended to popularise music, under the title “The Baton with Humour”. For his achievements he received the award of the President of Polish Television and viewer appreciation led to the prestigious “Wiktor” Audience Award. For two seasons Niesiołowski worked together with the Bilkent Symphony Orchestra in Ankara, with which he has made numerous recordings for CD. He conducted Polish orchestras in many European countries and in the United States. He has recorded for Polish Radio, Polish Television and for various record labels. He has been in charge of the Symphony Orchestra of the Karol Szymanowski State Music School Complex no. 4 since 2009.